21. 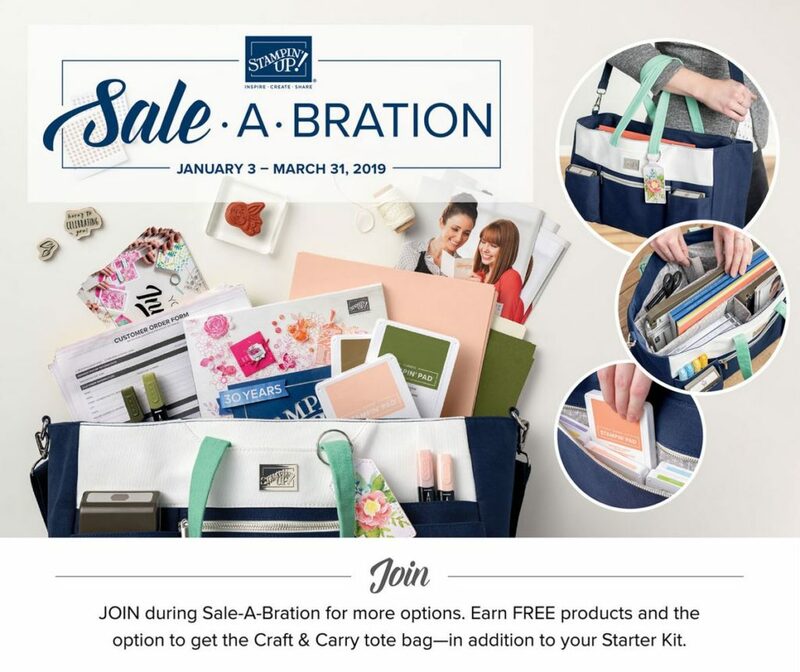 January 2019 · Write a comment	· Categories: News & Deals from Stampin' Up! 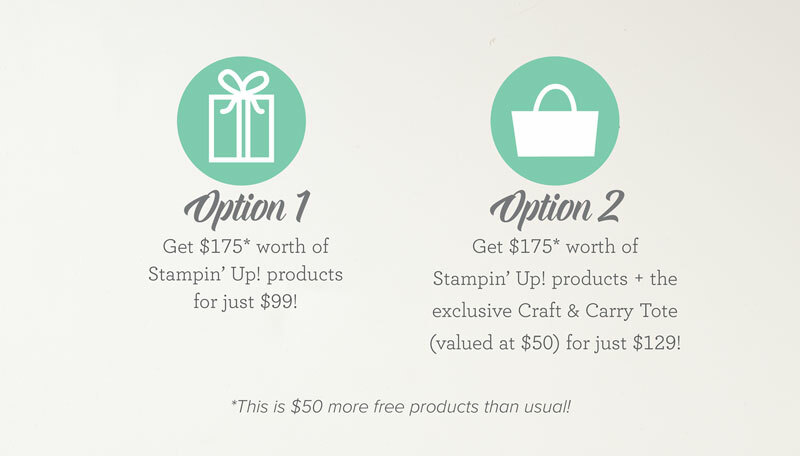 The Best Deal from Stampin’ Up! The usual benefits of joining the Stampin’ Up! family. Have access to other inspiration and training from Stampin’ Up! The option to get this beautiful large sturdy tote worth $50 for only $30. *The Starter Kit does not qualify for Sale-a-Bration products. As mentioned above, you can choose any products, but here’s a Sample Kit featuring all six products in the Gingham Gala Suite found on page 35 of the Occasions 2019 catalog, plus note cards with envelopes, extra Whisper White card stock, Classic Stampin’ Pads in all 5 coordinating colors, the Jet Black Memento Ink Pad, and the Stamparatus. Or here’s another kit with two bundles, and products that you could make up to 60 cards with envelopes, clear blocks, with ink, embellishments, adhesive, and products left over. You’ll find more kit suggestions (from the annual catalog) here. You can add the Stamparatus or any other $50 worth of products during this Sale-a-Bration special offer.